In my opinion, Walt Disney was more then a skilled storyteller, but a skilled businessman who knew that quality would win out above anything else. Walt reinvented the industry of his time with concepts like keeping the park clean, having friendly helpful staff, putting expensive, attractive finishes that contributed to the park’s ambiance, beautiful landscaping and innovative attractions that were not only kept up, but expanded upon and improved on over time. Walt created the concept of the “Theme Park” and did it all in the faces of an industry that said he’d loose his shirt trying to do it his way and told him to “stick to cartoons”. In my endeavor to create a successful comic company, I feel I may have lost site of that which Walt knew so well. Quality is what will drive people back to your product again and again. I’ve been attempting to do things as cheaply as possible and hope that no one will notice my financial shortcomings. For a time, I felt this was the only path open to me, but it appears I need to reevaluate that philosophy. I certainly want to put as much energy into my creations as possible, but there has to be a point where you need to spend money to bring the quality of your product to its fullest flower. Only then can you cycle your returns into making your product even better the next time around. But I’ve babbled enough. On to the article. If you want to read my reply to this article (which is moderately lengthy :)) you can visit http://imagineerebirth.blogspot.com and click on “(#) Comments” on this particular blog entry. You’ll find it posted under my nom de plume of Digital Jedi. The following interview with Walt Disney was conducted by NBC in 1966. On the surface, in his highly informal, friendly way, Walt’s business philosophy seems relatively simplistic. Translated, however, it provides an understanding as to why he was so highly rated by the business world. NBC: Walt, why did you pick Anaheim as the site for Disneyland? WALT: The Disneyland concept kept growing and growing and it finally ended up where I felt I needed two-three hundred acres. So, I wanted it in the Southern California area, there were certain things that I felt that I needed, such as flat land, because I wanted to make my own hills. I didn’t want it near the ocean, I wanted it sort of inland, so I had a survey group go out and hunt for areas that might be useful. And they finally came back with several different areas and we settled on Anaheim because the price of the acreage was right. But there was more to it than that. And that is that Anaheim was sort of a growing area. The freeway projection was such that we could see that the freeway would set Anaheim as sort of a hub. Well, that’s how we selected Anaheim. NBC: Do you feel Anaheim has lived up to expectations? WALT: In every way, the city fathers have been wonderful. They’ve given us wonderful cooperation right from the start and they are still cooperating. NBC: What has been your biggest problem? WALT: Well, I’d say it’s been my biggest problem all my life – it’s money. It takes a lot of money to make these dreams come true. From the very start it was a problem of getting the money to open Disneyland. About 17 million dollars it took. We had everything mortgaged, including my family. We were able to get it open and for ten or eleven years now we’ve been pouring more money back in. In other words, like the old farmer, you’ve got to pour it back into the ground if you want to get it out. That’s been my brother’s philosophy and mine too. NBC: What plans for the future do you have at Disneyland? WALT: There’s a little plaque out there that says, “As long as there is imagination left in the world, Disneyland will never be complete.” We have big plans. This year, we finished over $20 million in new things. Next June, I hope, we’ll have a new Tomorrowland; and starting from the ground up, building a whole new Tomorrowland. And it’s going to run about $20 million bucks. NBC: What steps have you taken to see that Disneyland will always be good, family entertainment? 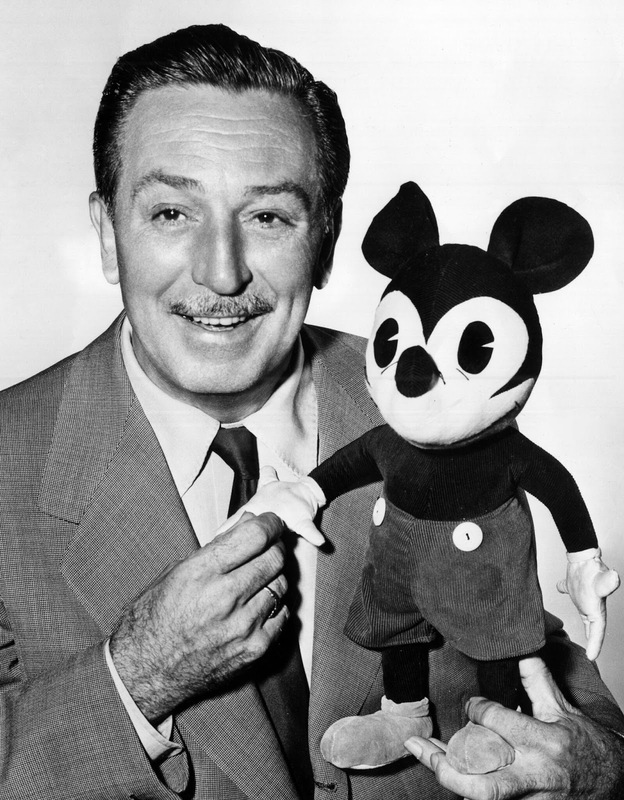 Thus, in the space of a brief, four-minute interview, Walt Disney covered no less than eight business considerations which went into the decision making process affecting Disneyland. Masterplanning… analyzing alternatives… evaluating costs… growth potential… working with government… taking risks… looking at investments and re-investment… up-grading, continually improving the product. There is an old adage in the film industry… “You’re only as good as your last picture.” Actually, in business anywhere today, the standard is even tougher: “you’re only as good as next year’s results.” Success today is not a vaccine for future economic ills. Many great businesses at one time or another, practically institutions and permanent fixtures on the American scene, have fallen by the wayside. Ironically, among the publishing giants on hand in 1955 as Disneyland struggled through its “Black Sunday” press opening were Look magazine, Collier’s, The Saturday Evening Post, and Life. And among the cars in the parking lot were new Hudsons, Studebakers, Packards, and DeSotos. In 1955, they all had a vital, thriving part in the American scene. By 1975 they were all gone… along with dozens of other companies with long histories and great traditions. Realistically speaking, what guarantee does the Disney organization have that some competition, perhaps not even in existence as we know it today, doesn’t surpass us or worse yet… gain control of our organization? Walt Disney developed his own guarantee. He always said that we could never stand still. He had to explore,innovate and experiment and he was never satisfied with his work. “If any of you starts to rest on your laurels, forget it,” he told his staff. That was his guarantee for the future. (The above was an archival article originally published in the mid-1970’s).